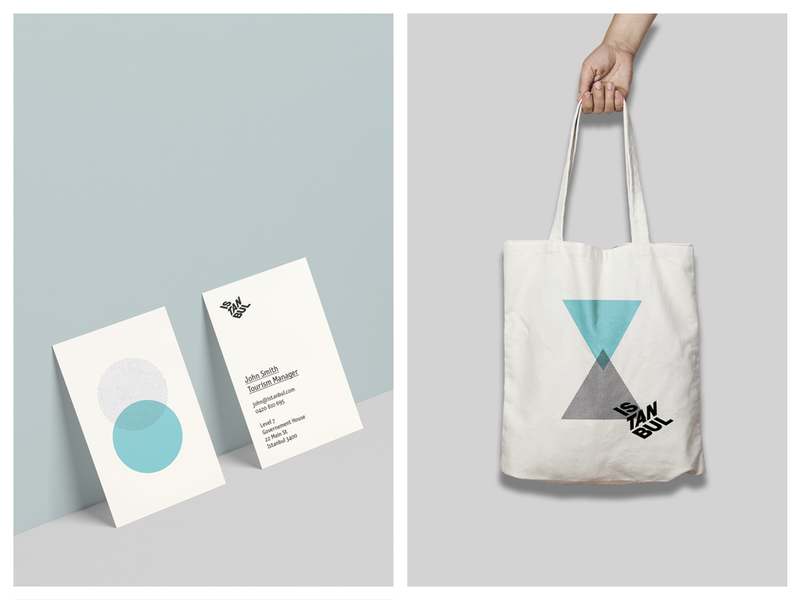 The brief was to create a new modern and progressive identity for the city of Istanbul. Through my research I discovered that Istanbul was a city of contrasts and opposites. Geographically the city is a meeting of west and east, culturally a culmination of old and new, and even its cuisine is either super sweet or deliciously sour. 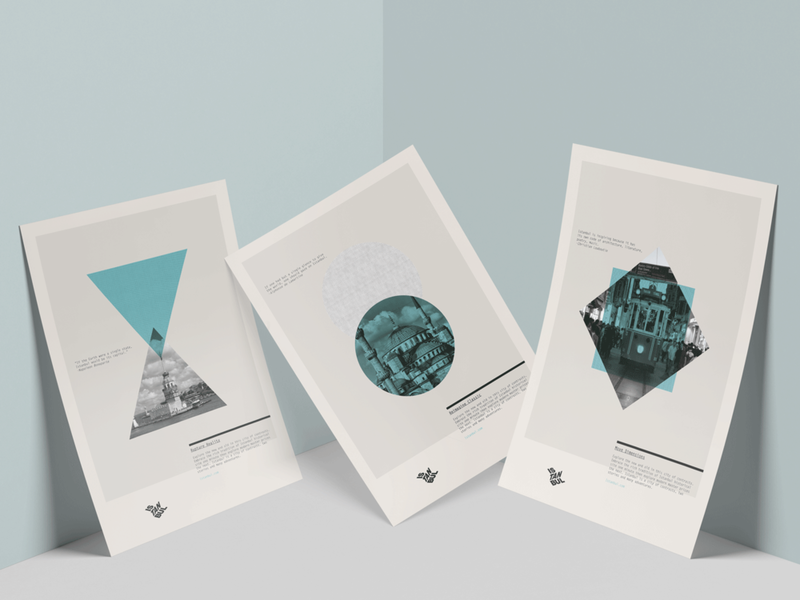 I wanted to convey the cities diversity through the visual identity as I felt the contrasts of Istanbul are what make it unique. The ability to experience polar opposites all in one place. I brought the idea of contrasts to the identity through my choice of graphical elements and design decisions. The identity ultimately is modern but my choices such as geometric shapes and colour is based on Istanbul’s past creating a contrast. Geometric shapes were used as they are culturally significant and reflective of the cites traditional art. The colour turquoise was selected as its originates from ancient Istanbul. The logo is a representation of the push and pull between the cities contrasts and the different directions in which they might take you.